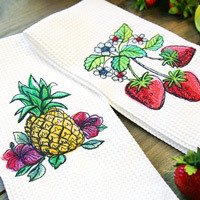 Stitching on Towels Stitch your favorite embroidery designs on towels -- we'll show you how! 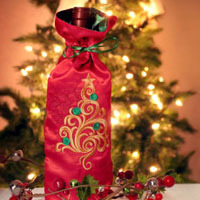 Cocktail Napkins Whip up some super slick embroidered cocktail napkins, either with simple mitered corners or as a double-sided napkin. 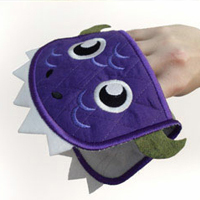 Monster Mitt In-the-hoop projects, like monsters, are more awesome than scary. 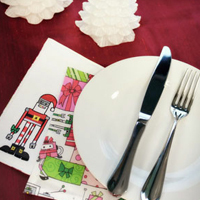 Stitch up this hungry little guy all in one design! 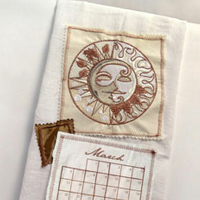 Tea Towel Calendar Hang this decorative tea towel in the kitchen -- it doubles as a calendar, with interchangeable months! 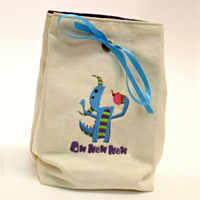 Lunch Bag Monster Lunch away from home is extra delicious with a reusable fabric lunch bag to hold all the goodies! 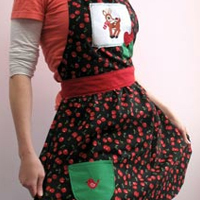 Retro Holiday Apron Sweet retro designs combine with bold fabrics and a flirty silhouette in this project perfect for the kitschen. 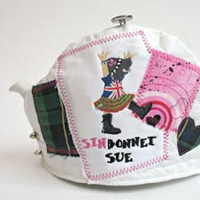 Punk Rock Tea Cozy Even Sinbonnet Sue likes to keep her tea piping hot! 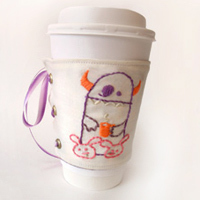 Stich a punky tea cozy and sip in rebel style. 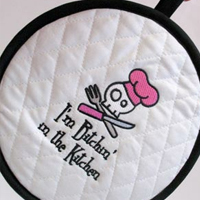 Hot Stuff Potholder Cook up this quick, sassy potholder – complete with hand pocket and insulation – for a gift or to spice up your own kitchen! 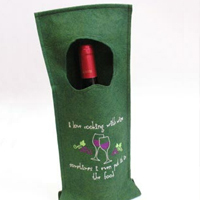 Cozie Cup Wrap A corset for your cup!Stitch this reusable wrap and protect the planet from wayward cardboard.